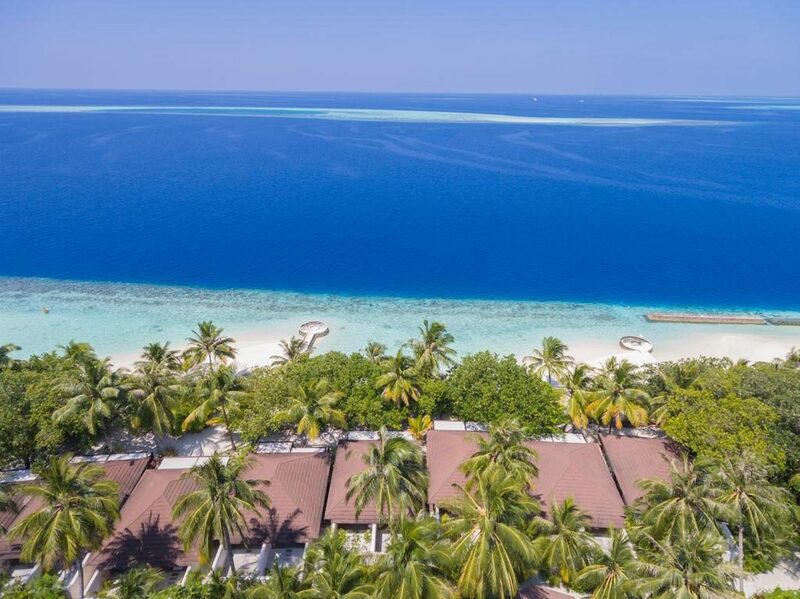 Travel by seaplane from Malé and you’ll reach paradise after 25 minutes… Lily Beach Resort & Spa is situated in the Ari Atoll, surrounded by crystal clear waters and a spectacular house reef. 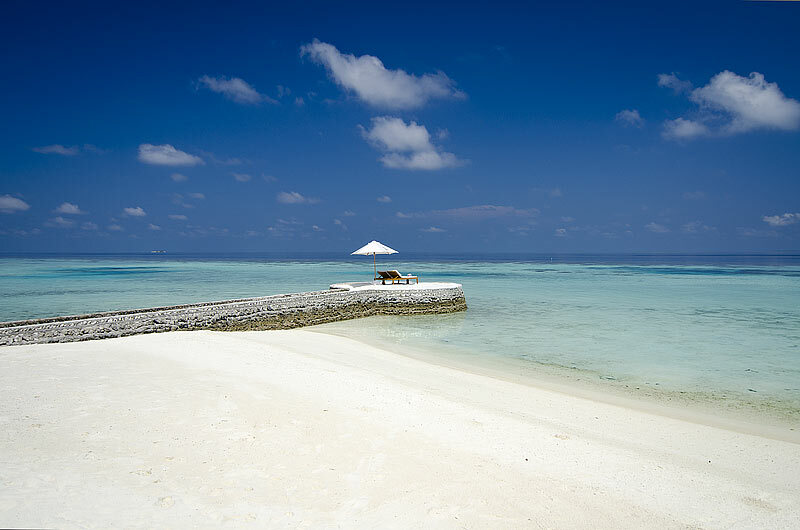 Some of the finest beaches and greatest diving spots in the Maldives add a silver lining to your holiday. 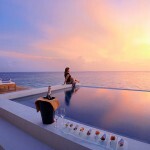 Because of its exceptional service and facilities, this resort is popular with both honeymooners and families. 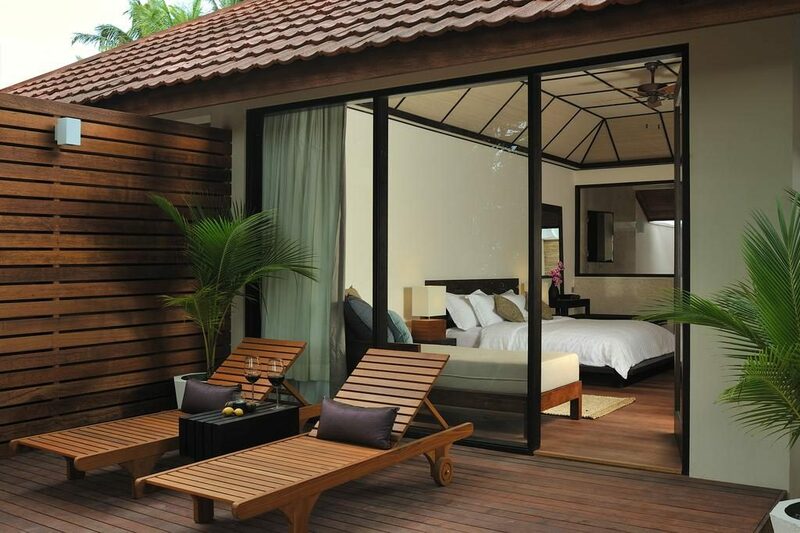 With its outstanding ‘Platinum Plan’, Lily Beach Resort & Spa redefines the concept of an All-Inclusive holiday. 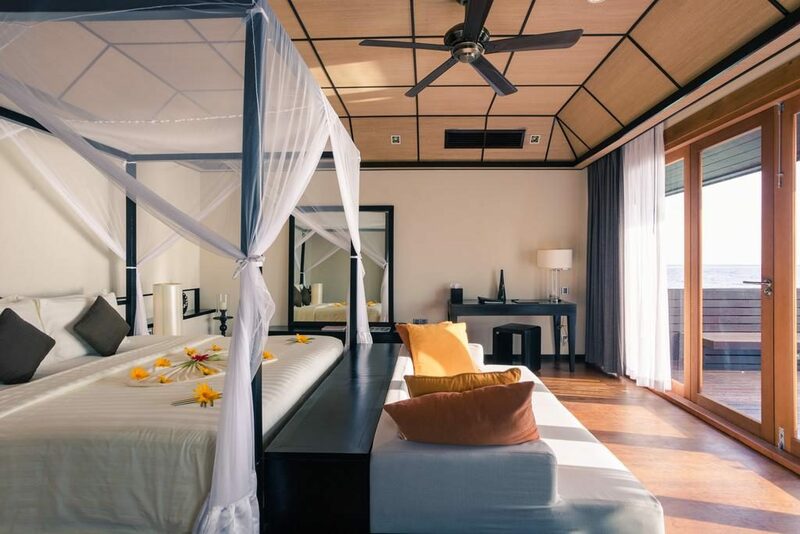 Including five star cuisine, premium spirits, excursions and sports of all kinds, it’s easy to understand why it is considered one of the best All-Inclusive resorts in the world. 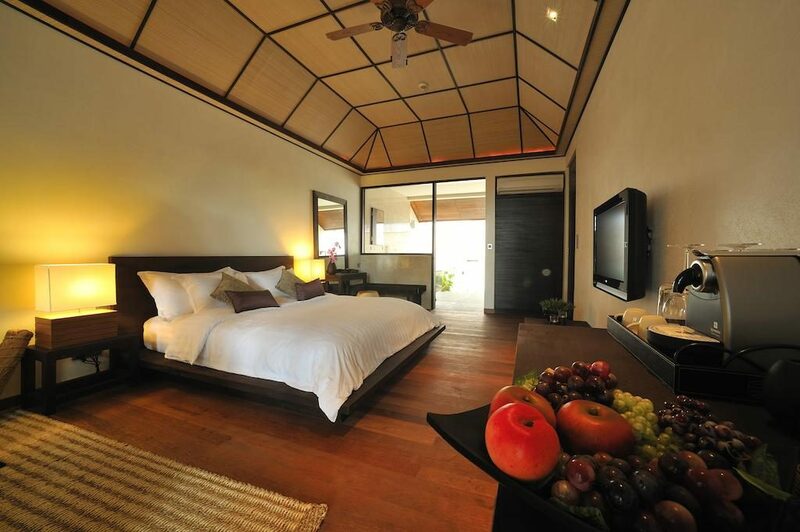 The Beach Villa (68 sqm) is the essence of affordable Maldives luxury. 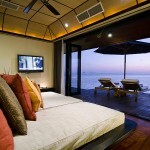 These sophisticated villas are located by the stunning beach, which your own private sundeck has direct access to. 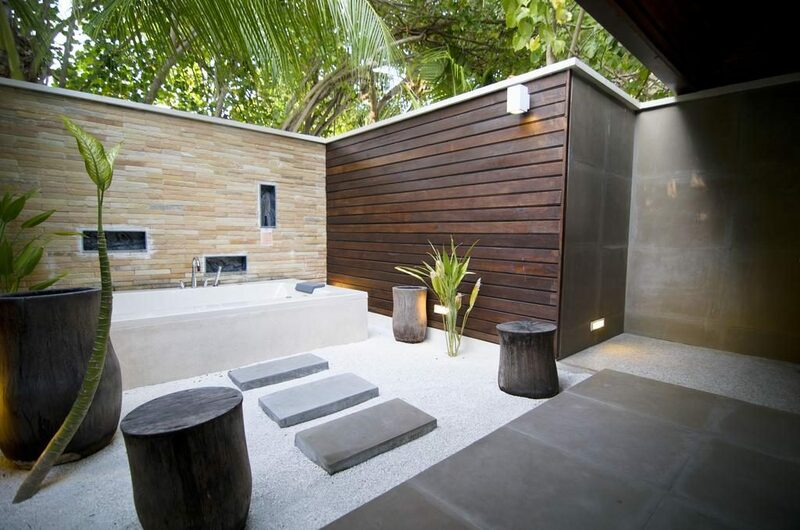 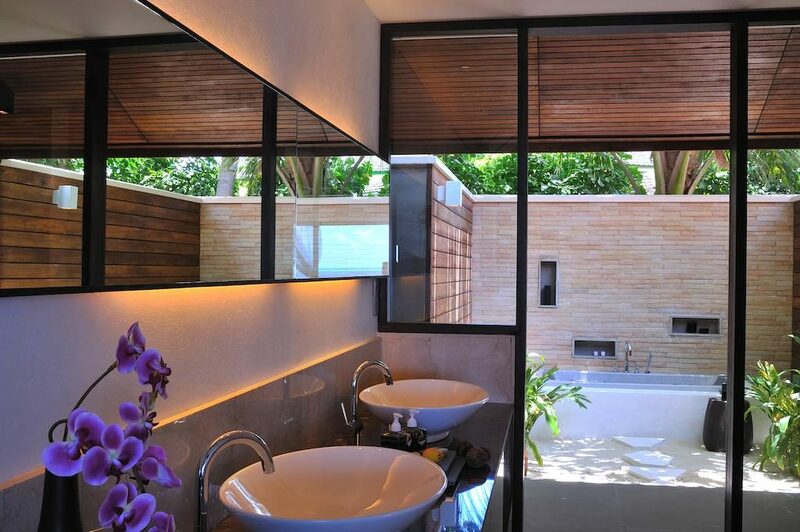 The open-air bathroom with a Jacuzzi bath is an elegant feature. Natural materials throughout the Beach Villa make you feel as one with the surrounding lush flora. 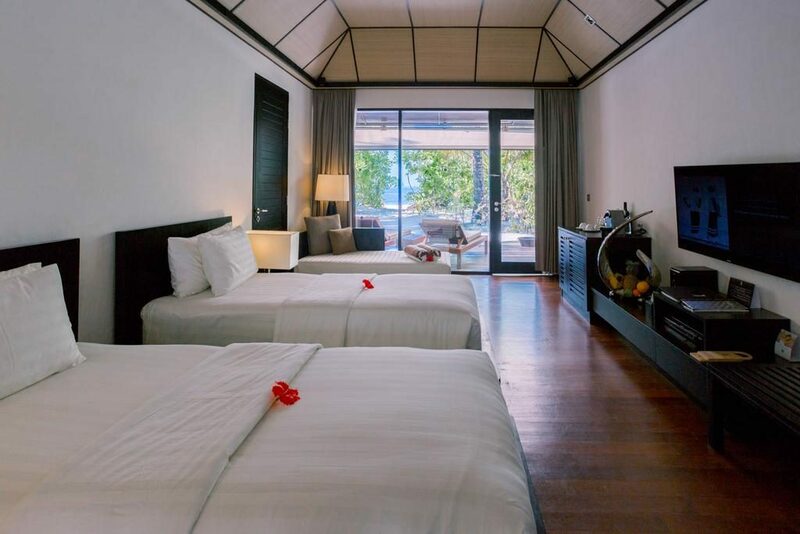 The Family Beach Villa (136 sqm) consists of two interconnected Beach Villas. 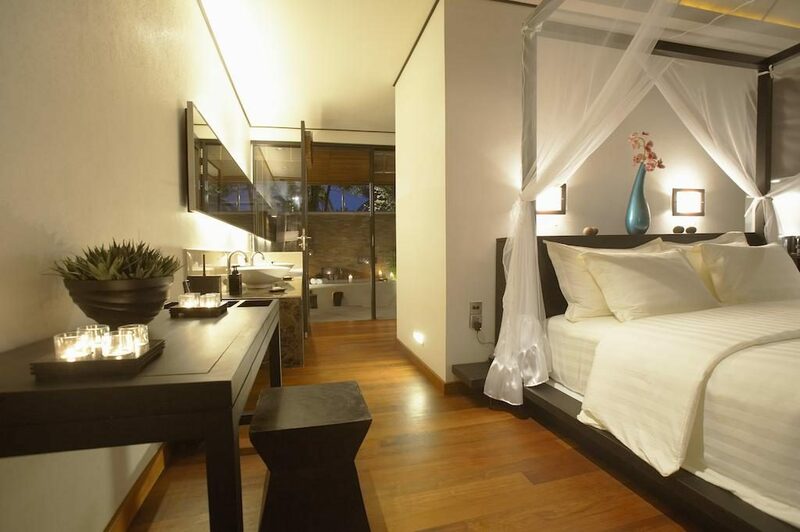 This two bedroom accommodation is this ideal for families or friends travelling together. 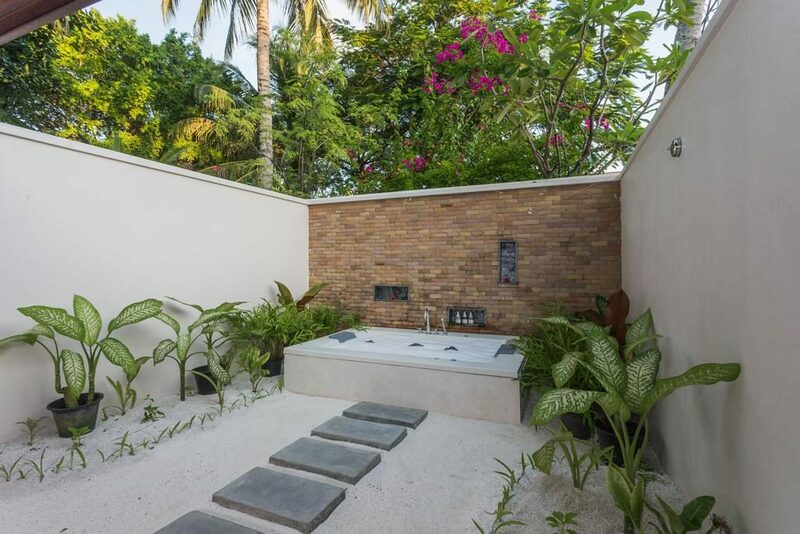 The Lagoon Villa (90 sqm) celebrates Maldivian design, with its outdoor bathroom with a lovely Jacuzzi and wooden materials throughout. 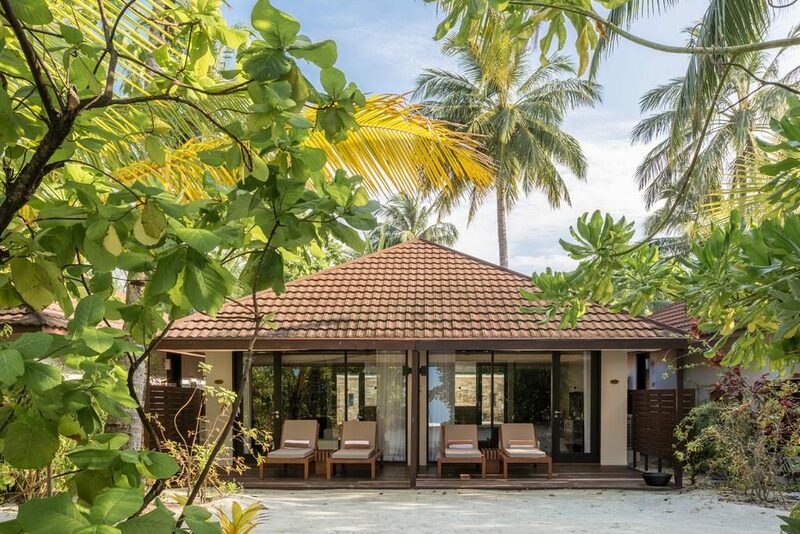 You will find the Lagoon Villas right next to the tropical garden on the south side of the island – a location which adds an authentic Maldives feel to your holiday. 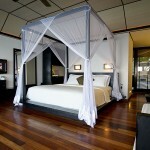 Your bedroom features a romantic four-poster bed and opens up to your private sundeck facing the marvelous Indian Ocean. 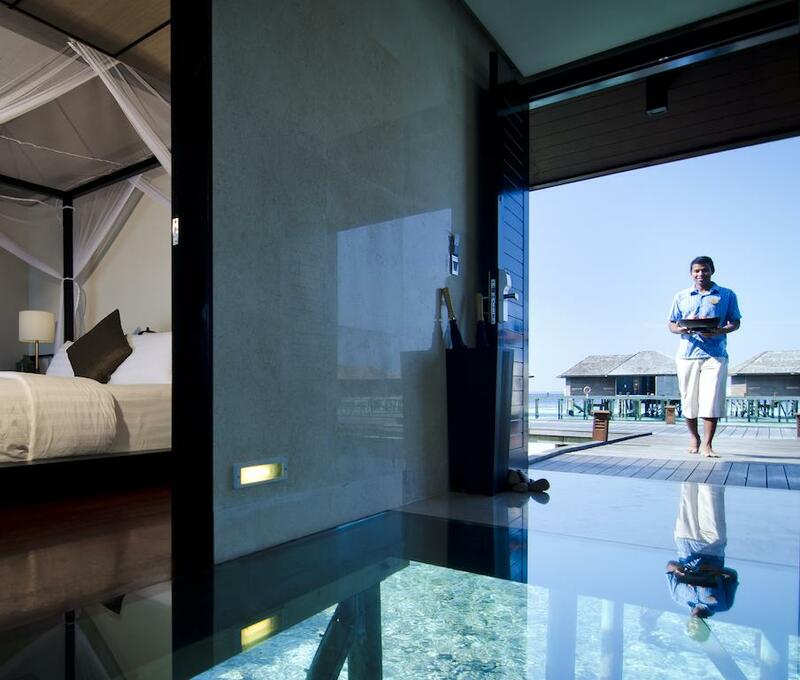 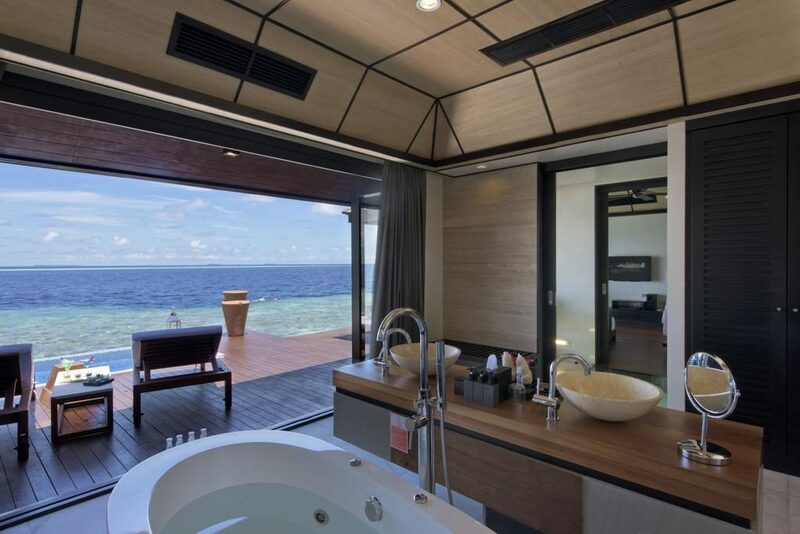 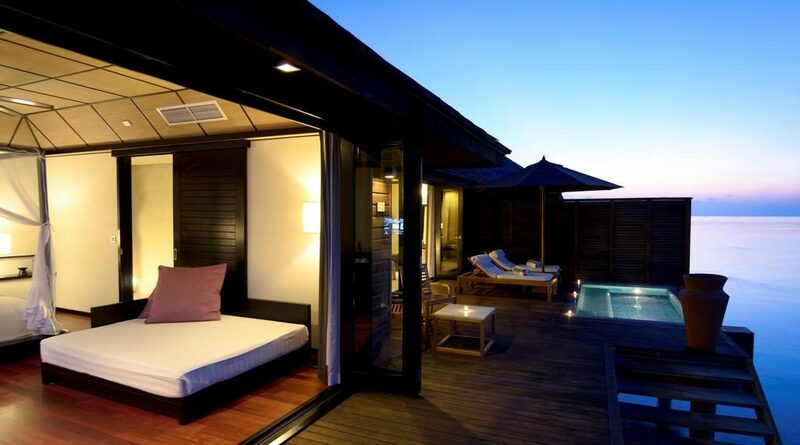 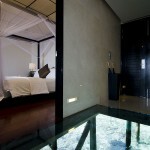 The Deluxe Water Villa (126 sqm) is a treat for all your senses with its exclusive design and breathtaking views. 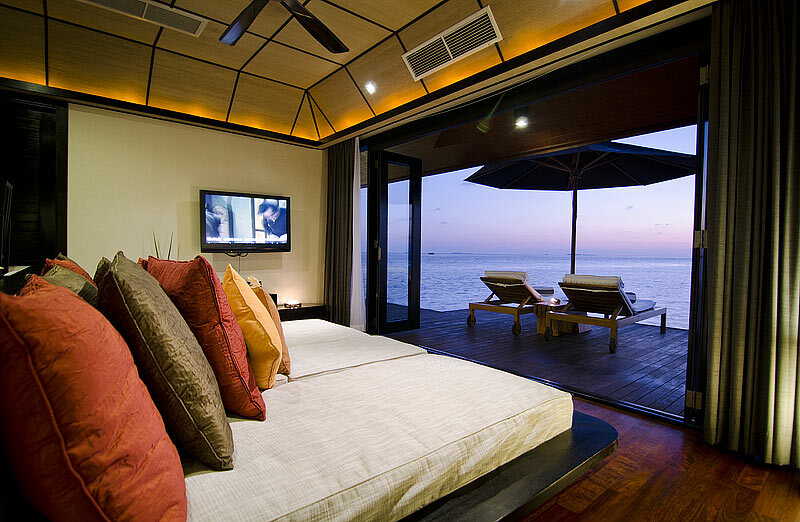 Standing above the Indian Ocean, your private sundeck has direct access to the warm waters below. 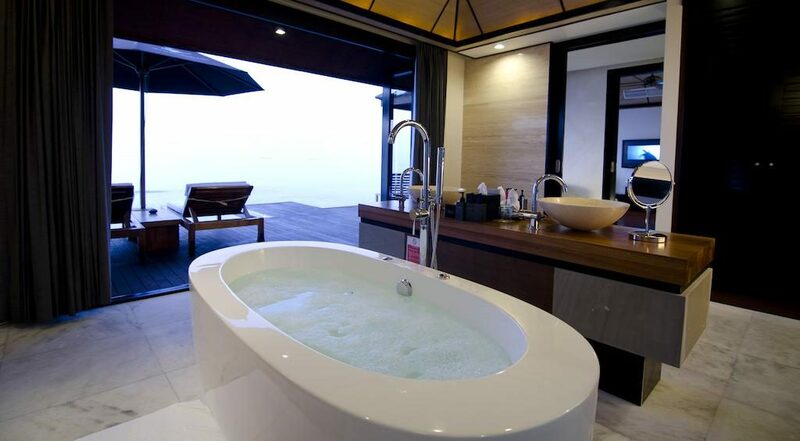 The Deluxe Water Villa includes an amazing Jacuzzi pool, as well as an indoor Jacuzzi bath. 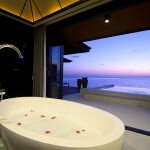 The Sunset Water Suites (182 sqm) are the royalties of the resort. 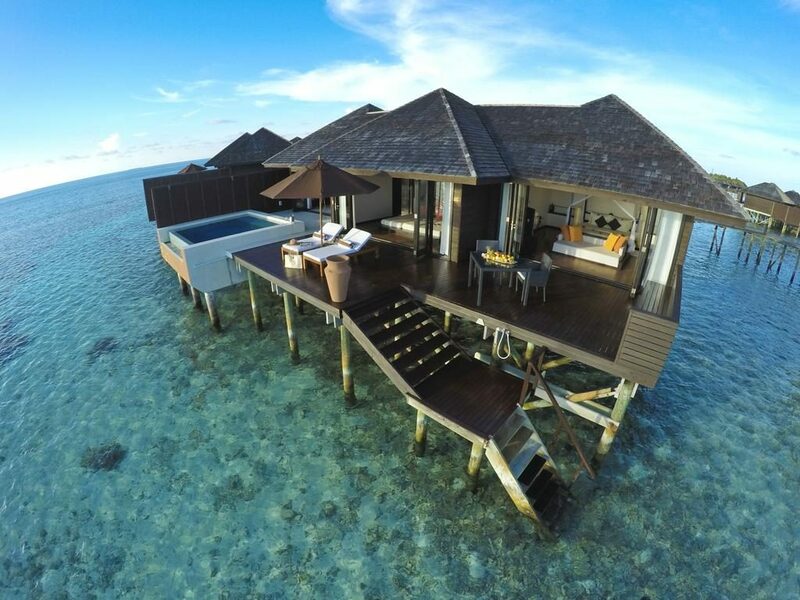 Hovering above the turquoise lagoon and the amazing house reef, the location furthest away of all the water villas could not be faulted. 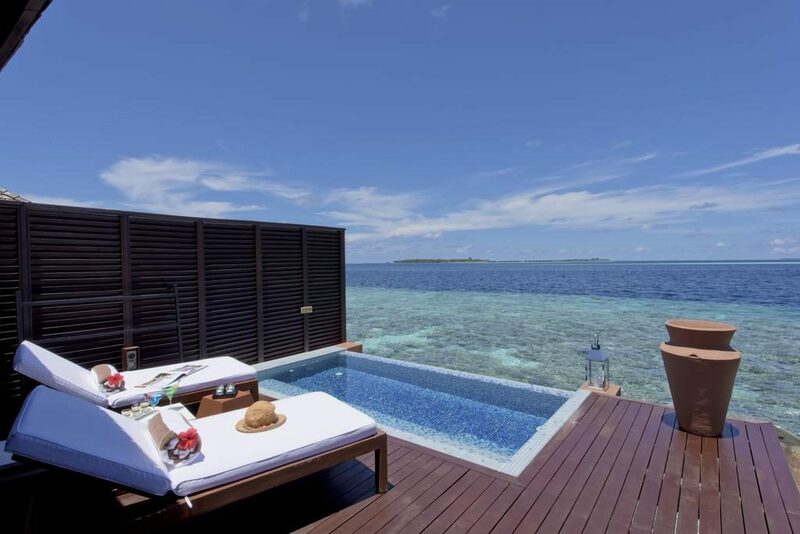 Your outdoor deck has direct access to the water and features a large Jacuzzi pool. 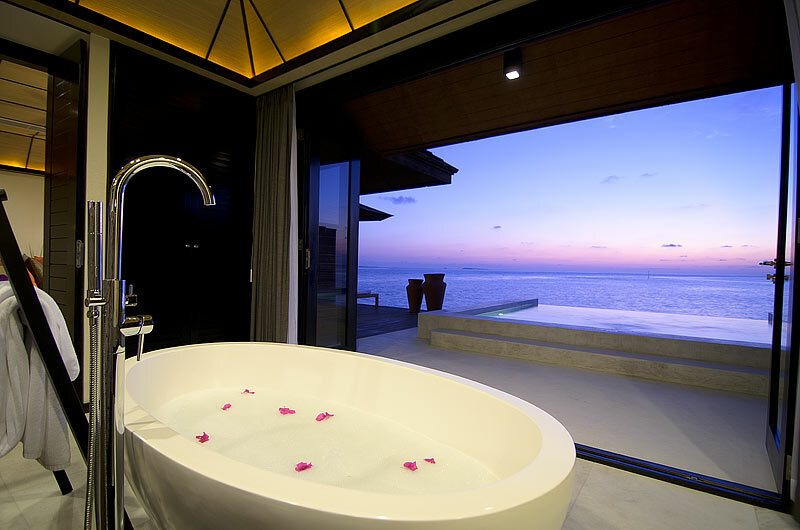 The Sunset Water Suite also comes with a 24-hour butler service, making your Maldives holiday even more outstanding. 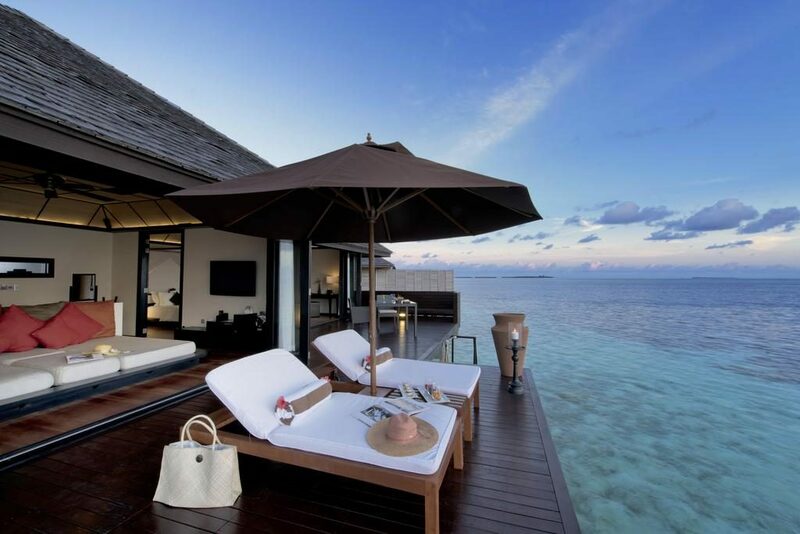 This is the perfect choice for an unforgettable honeymoon. 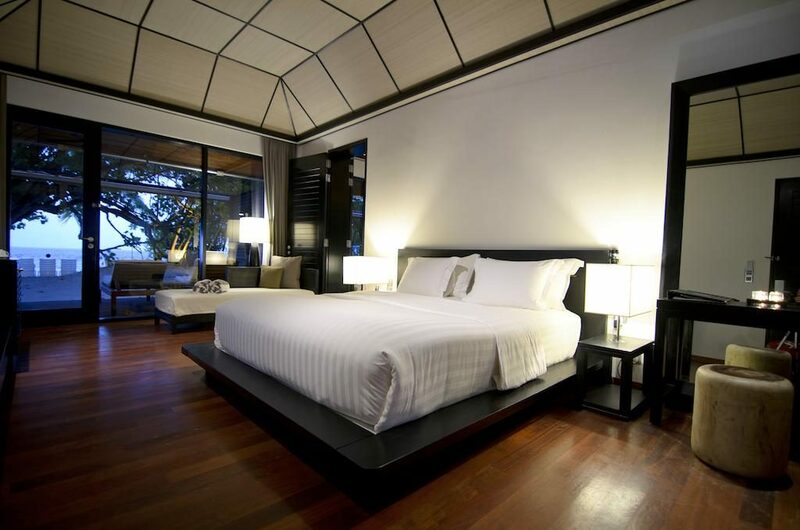 Lily Beach Resort & Spa takes the term ‘full service resort’ to a whole new level. 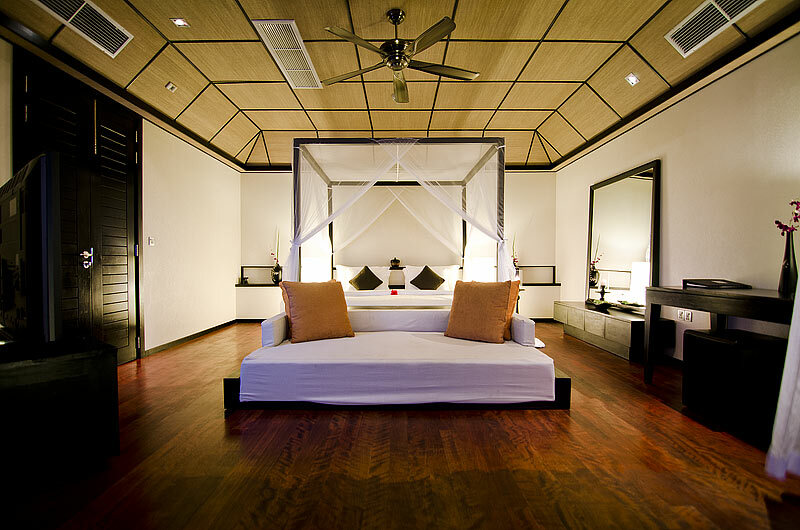 The first class facilities and wealth of activities for the whole family leave nothing more to ask for. 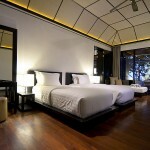 The fully-equipped sports complex with floodlit tennis courts, billiards and volleyball is very popular with the guests. 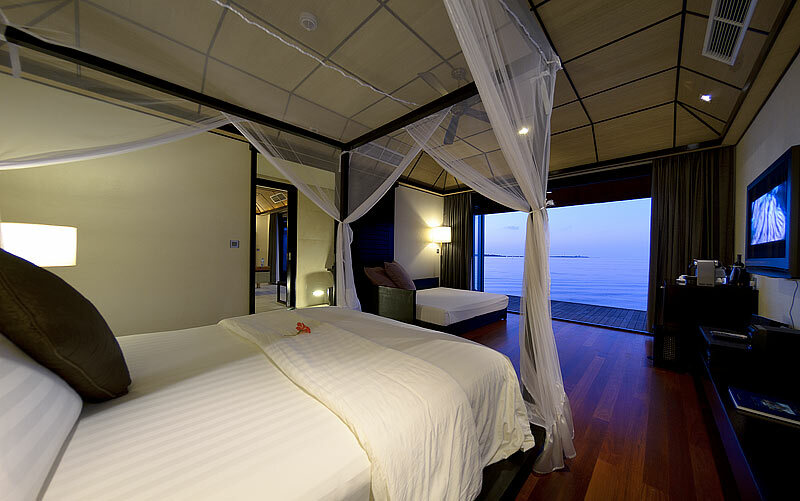 The younger guests will be kept entertained by Turtles Kids Club, while the impressive water sports centre caters for the whole family. 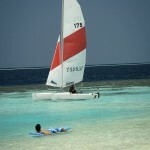 How about the choice of catamaran sailing, windsurfing, wakeboarding or banana boats? 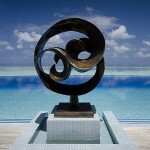 In addition, the on-site diving school will take you to over 50 amazing dive sites in the Ari Atoll. 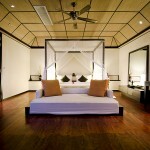 They cater for all levels of experience and also have classes for children. 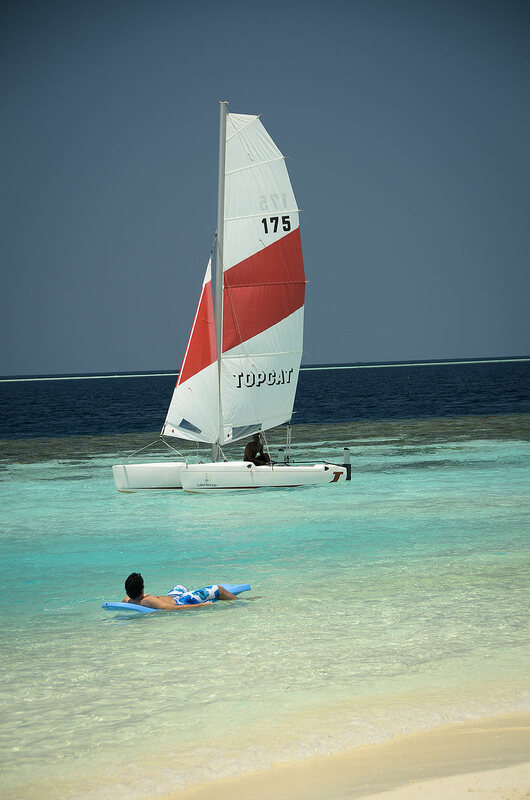 If you prefer snorkeling, you can always go on a snorkeling safari – one of the many excursions available. 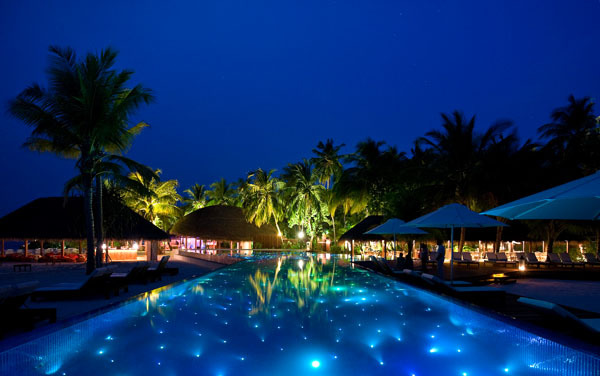 When you have dried up in the evening you will be treated to live entertainment including discos, theme nights and night fishing. 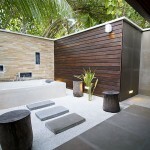 Tamara Spa is the ideal complement to your relaxing Maldives holiday. 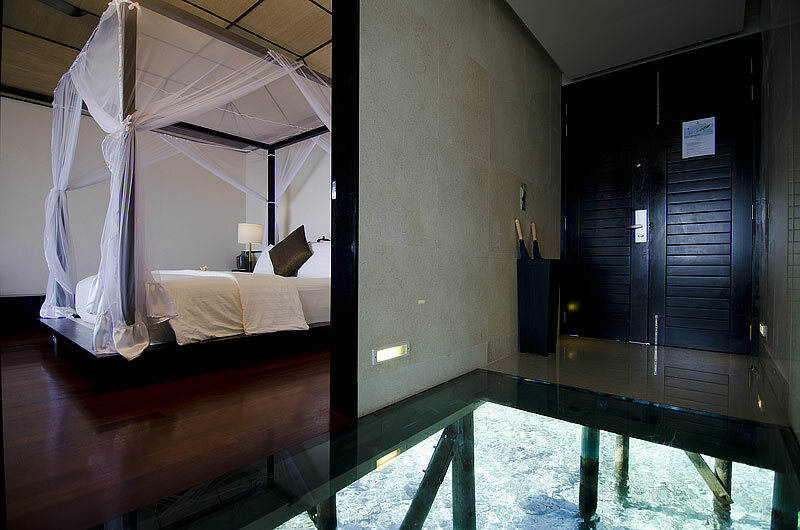 This over-water spa will work wonders for your physical and spiritual wellbeing, while you gaze down at the marine life through the glass bottom floors. 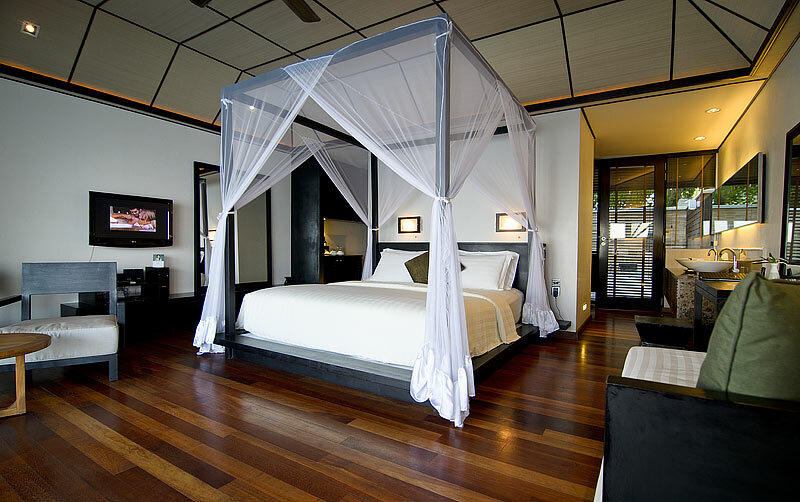 The signature treatment is highly recommended and brings a whole new level of peace to your body. 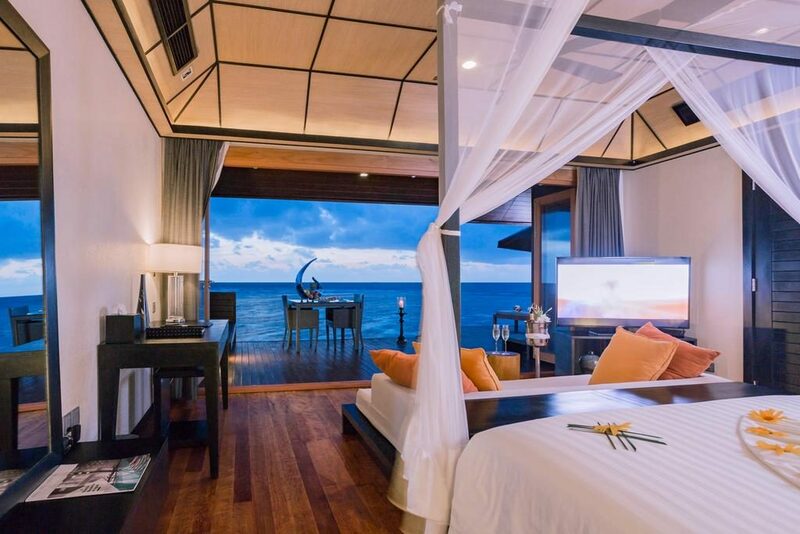 You had better prepare for an exclusive culinary overdose because that is exactly what you will receive at Lily Beach Resort & Spa. 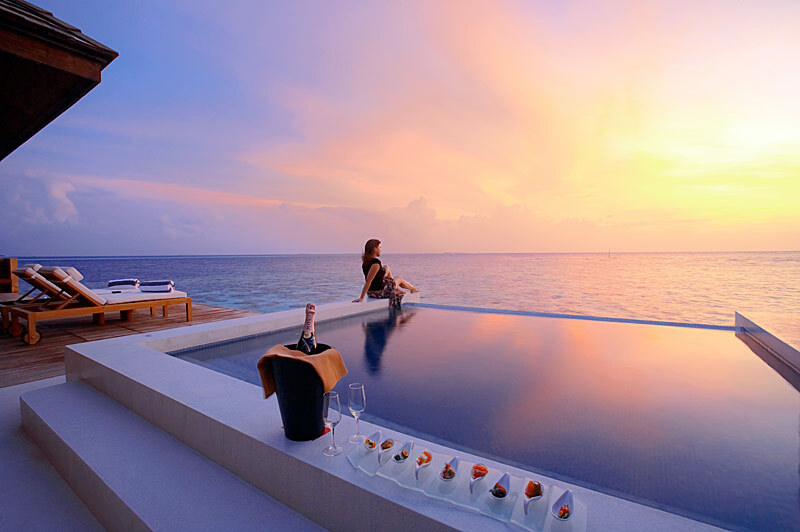 Every meal here means wonderful indulgence in stunning surroundings – this resort possibly offers the most impressive All-Inclusive package in the Maldives. 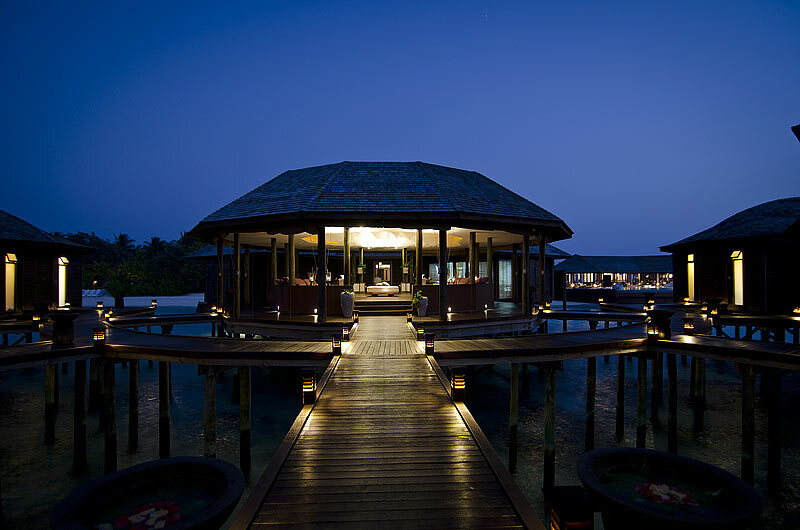 Lily Maa is the main restaurant of the resort. 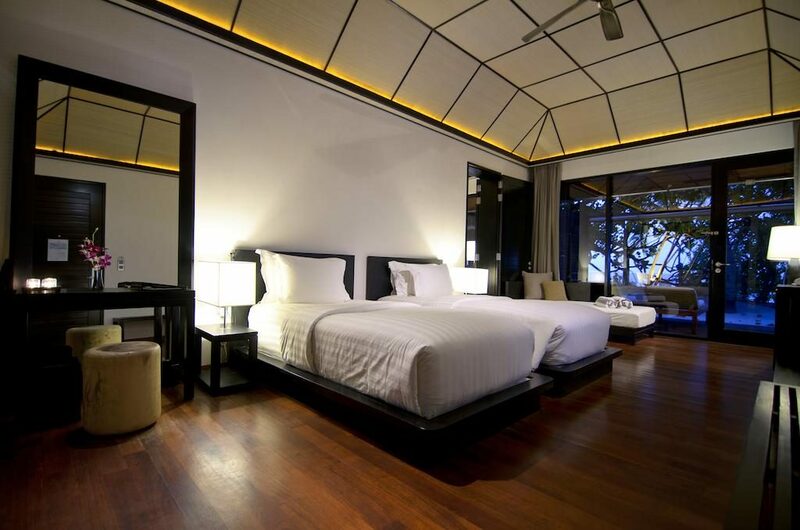 Serving tantalizing buffets for breakfast, lunch and dinner accompanied by premium wines, Lily Maa is a real gem. 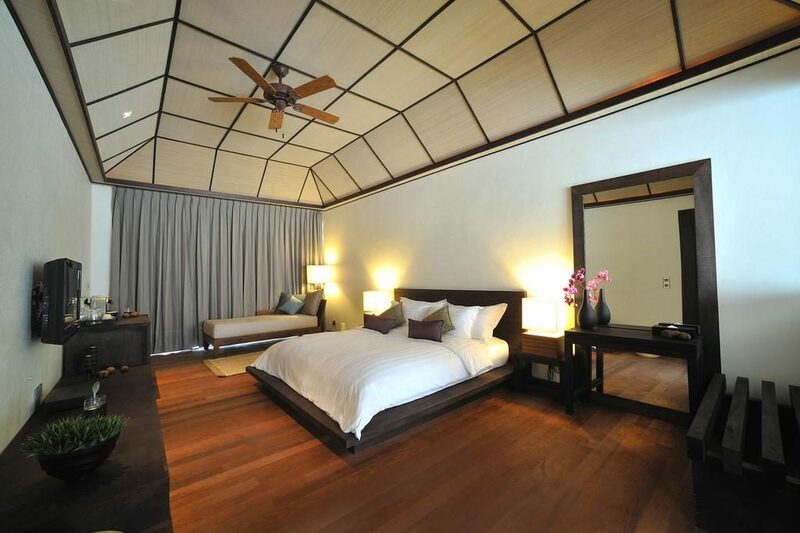 Tamarind is an a la carte restaurant with a menu of Chinese and Indian fusion cuisine. 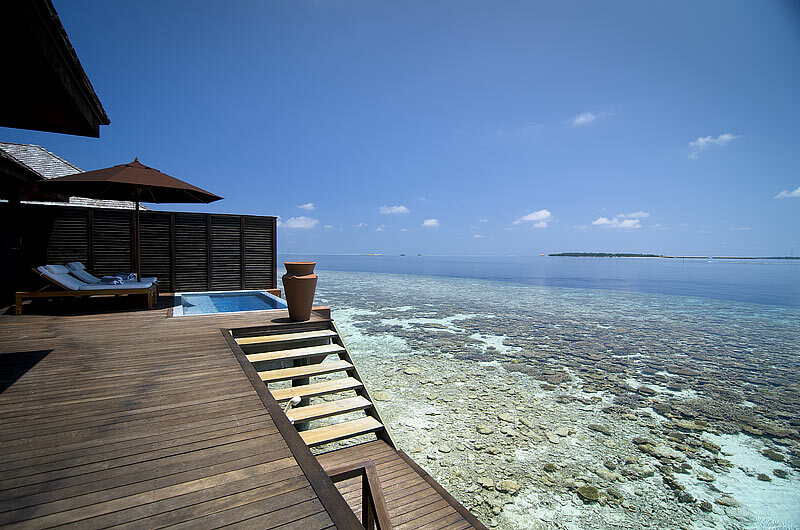 Here you will enjoy top cuisine with one of the finest views on the island, since the restaurant is located directly above the lagoon. 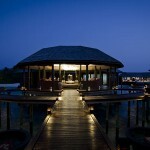 The Spirit Bar & Lounge is a laidback bar located next to the main restaurant. 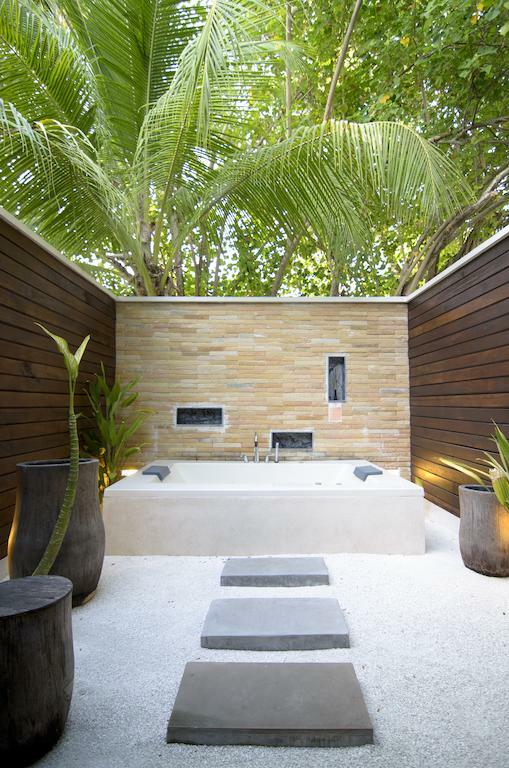 Head here to truly unwind after a day of sun bathing and water sports. 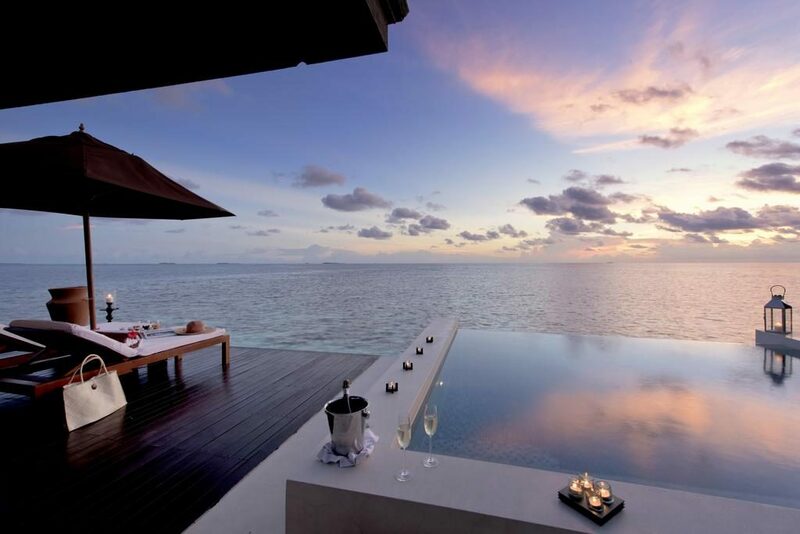 Sip on a cocktail with sand between your toes. 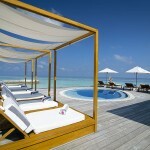 Simply Maldives Holidays offer a Platinum All-Inclusive Package to guests staying at Lily Beach Resort & Spa. 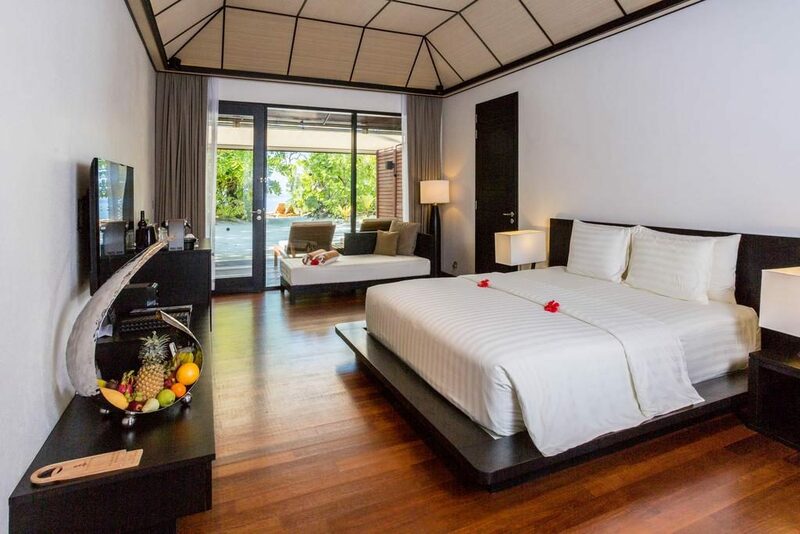 – Access to Sports Complex with gym, table tennis, volleyball etc. 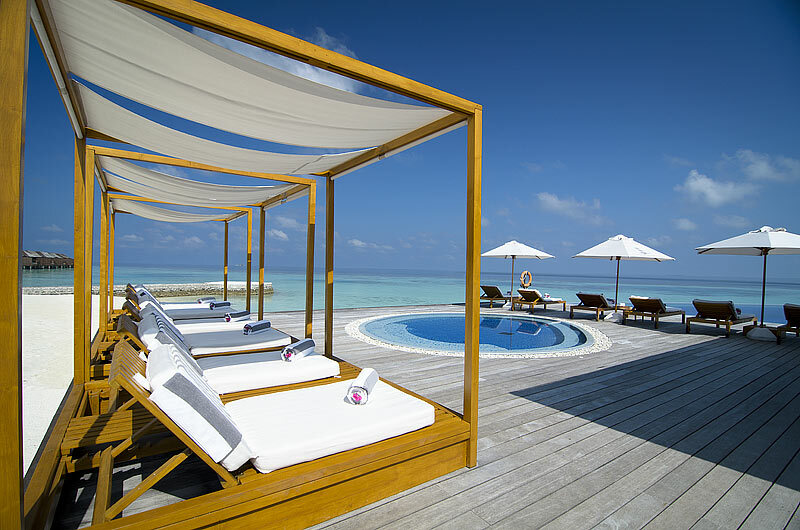 © 2019 Simply Maldives Holidays, All Rights Reserved. 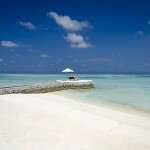 The air holiday packages and flights shown are ATOL protected by the Civil Aviation Authority. 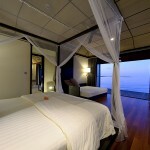 Our ATOL number is 6045.